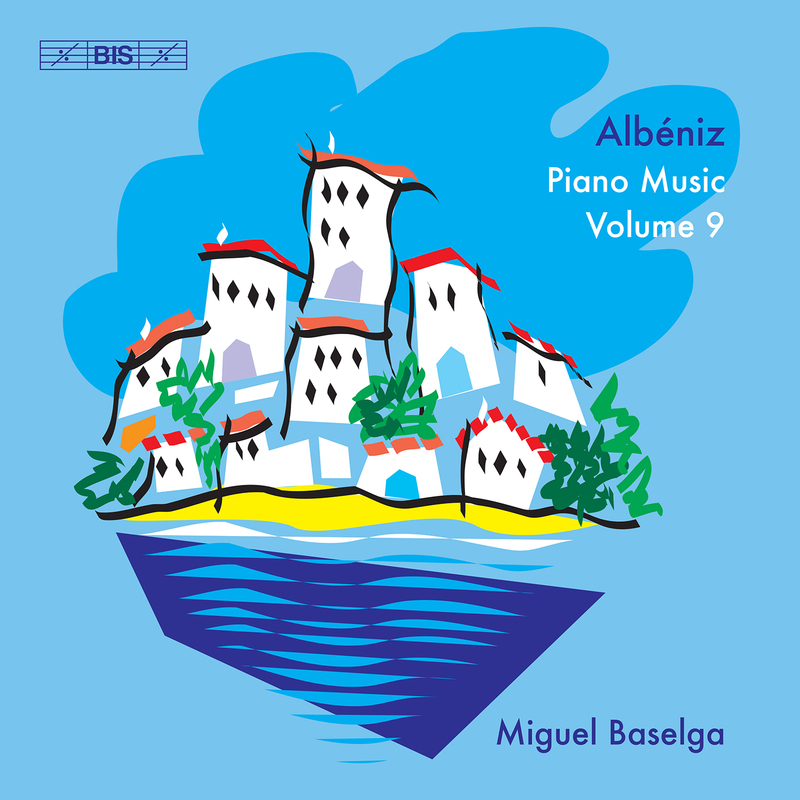 The final disc in Miguel Baselga’s complete Albéniz cycle focuses on the Spanish composer’s salon music of the mid to late 1880s. Albéniz was in his 20s and establishing himself as a fixture of the Madrid music scene – teaching, gigging and composing to get by. With only three tracks breaching five-minutes, this is a CD of bite-sized works that – while charming – feel a tad jumbled taken as a whole. It’s a disc made as much for snacking as consuming in one go. Baselga opens with Recuerdos de Viaje (Travel Memories) – a suite of pieces inspired by Albéniz’s extensive travels. These colourful vignettes are perhaps the highpoint of the disc, from En el Mar’s pianistic wave effects to the darkly swaying Granadina (a kind of fandango from Granada). Rumores de la Caleta (Murmers from La Caleta) is another highlight of this suite, translating the insistent bass-line and arcing arpeggio shapes of a guitar’s malagueña to the piano. The Troisieme Minuetto, Menuet, Menuetto and Scherzo recall Mendelssohn, Schumann and Chopin, whose miniatures featured on Albéniz’s concert programmes. Baselga brings plenty of character to the pieces and they provide an elegant (if buttoned-down) contrast to the more boldly Spanish dances. Tango lilts seductively in Baselga’s hands while the penultimate track is something special – a transcription of one of three sound recordings Albéniz made at a friend’s house in 1903. A quirky Polka brilliante closes the disc with a sparkle. Charming sonatas for amateurs, but also for those in the know. Gringolts nails Stravinsky's sometimes knotty violin output. Brautigam's final furlong: The Diabellis are a satisfying conclusion to a superb survey. This month’s list of Australia’s top 20 classical music albums. Distinguished Spanish maestro loses his battle with cancer at 80. Not only did these composers write immortal music, they inspired history’s great artists to new heights of expression. The artform has been much maligned over the years for farfetched stories, but beneath the nonsensical plots lurks buried treasure. Anyone who saw Swedish clarinettist Martin Fröst twist, twirl, strut and shimmy his way through his national tour with the ACO last year will know what a physically engaging showman he is. So it’s natural that he would record a dance-themed album during the tour, and no surprise it’s the most eclectic and inspired program the ACO has committed to disc. Hillborg’s Peacock Tales creates a spellbinding atmosphere even without its visual component, Fröst running the expressive and technical gauntlet against an eerie backdrop of clustered strings. Copland’s Clarinet Concerto is equally virtuosic. Both soloist and orchestra (with added piano and harp) are bright and punchy right up to the final clarinet glissando. Fröst is spirited and idiomatic in klezmer tunes scored by his brother Göran and attacked with gusto by the ACO. Göran’s arrangements of Brahms’s Hungarian Dances are well served by the soloist’s lightness of touch and flawless intonation, but it’s the band’s sweeping romanticism that carries these pieces. The most fun on the disc, however, is Högberg’s highly charged Dancing with Silent Purpose with its manic electronic beat. The Expressive Rage movement gives the ACO an opportunity to rock out as Fröst’s fingers dance across the keys. Richard Tognetti and the Australian Chamber Orchestra offer up an exclusive track from their new Mozart album.